The faculty of technology and entrepreneurship was educated in 1981. There are three departments at the faculty: the department of all-technical disciplines, the department of engineering knowledge and department of a methodology of teaching of all-technical disciplines and labor training. Teachers of the department have experience in general educational, secondary and higher educational institutions, at the industrial enterprises and in scientific research institutes that allows them to improve continuously the contents and methods of training of students at the faculty, to carry out the research work. Professors and the associate professors mainly work the departments and being authors of large number of inventions, scientific and scientific and methodical works, including textbooks and manuals for school and university students mainl. 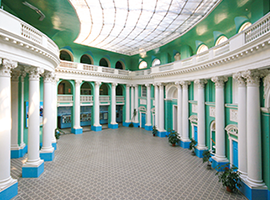 The faculty actively participates in the organization of the international and All-Russia conferences on technological education and information technologies on which there come experts not only from the long distance cities of Russia, but also from Germany, USA, Great Britain, Kazakhstan, Belarus, Ukraine, China and Japan. Teachers of faculty are organizers and active participants of the All-Russia and Moscow contests among school students on technology, the All-Russia competition for the best educational and research work of students of faculties of technology and entrepreneurship. Besides of pedagogical education the faculty carries out preparation of bachelors in the direction «Information systems and technologies». The bachelor in the direction «Information systems and technologies» is prepared for design of information systems, system administration, protection of information systems, service of information and office equipment. All graduates can continue training in master studies according to various programmes. 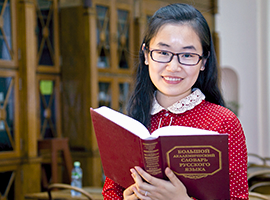 In the course of training students get knowledge about modern technologies of transformation and use of materials, energy and information, get acquainted with bases of creative and business activity, receive special knowledge in the field of pedagogics, psychology, ecology, economy, mechanical engineering, electro- radio engineering, computer graphics, marketing and in other areas. Since 2010 the faculty started to prepare bachelors in the «Innovation» direction. 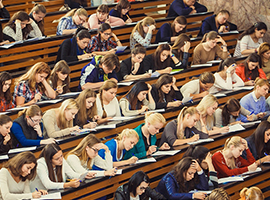 Students of this programme are prepared for activity as experts in creation and management of innovative projects; risk managers; experts on technical and economic audit, transfer of technologies, commercialization of innovations, directors for development of the enterprise, heads of the knowledge-intensive firms and innovative business. The width and quality of preparation offered by faculty guarantees to graduates successful employment irrespective of the changes occurring on a labour market. The postgraduate study is directed under the specialty 130002 “Theory and a training and education technique (all-technical disciplines and labor training)”.